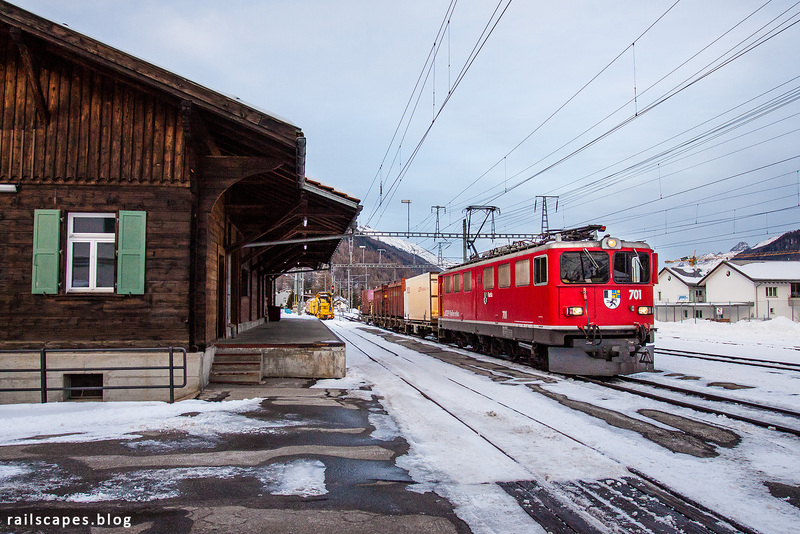 The last freight train of the day, headed to Pontresina, passes us at Bever station. We awaited this train before heading home. Weather forecast wasn’t looking good, and because of last night’s accident, we decided to make a stop-over north of Strasbourg. It had already gotten rather dark for this photo – some boosting of the light was necessary to get a decent result. Next Next post: Complete Switzerland trip report online!